Melvyn Douglas is a suave Parisian gentleman, and lover of a beautiful former Russian aristocrat. Three silly Russian government officials are coming to Paris to sell jewels she used to own, she asks Melvyn to meet them and trick them out of the jewels. He does, by charming them and getting them drunk and making them fall in love with Paris. The Russian government, angry, decides to send their secret weapon, cold and logical and determined and beautiful-but-doesn’t-know-it Greta Garbo. Of course, she and Melvyn spark, he breaks through her shell and gets her to rediscover her fire and femininity and so on, and she makes him remember his honor and so on. It’s all very light and farcical, it ends with his lover warning her off so she returns to Russia with a broken heart, and him creating another fake controversy so she has to be sent back to Paris, where he explains he ended it with his lover and really loves her and they are together forever. What makes this plot super appealing is the flirt-flirt between the experienced casual Parisian fellow, and the logical literal inexperienced Russian woman. And we can totally recreate that in Indian film! I’ll start with Shahrukh. He is a smooth casual lawyer in Calcutta. Well, “lawyer”. He came to town to study law as a young man, bummed around doing this and that, and now just gets by on charm. He lives with a nice old lady who lets him have the upstairs of her house because he is such a nice young man, he gets free breakfast at the coffee shop by offering legal advice to whoever comes by, goes out every night to parties where he charms everyone and has free food and wine. And then one morning the nice old lady gets all excited because she sees in the paper that they are going to have an exhibit of “wonders of old Calcutta” and her family wedding sari is going to be part of it. She begs Shahrukh to go talk to government officials organizing the event and get her sari back. Shahrukh goes off to the museum and easily charms the nervous young man who is in charge of the exhibit. Takes him out for an evening of fun in the city, introduces him to a young woman and teaches him how to flirt, and meanwhile has some of his friends from the cafe sneak into the museum and steal the sari back. Like this, only Shahrukh is winning over a shy museum archivist, not Preity. Meanwhile, Deepika is an intense dedicated archivist out of Delhi. They get the call from the young man, panicked because he can’t find the sari, which was where they hid the precious jewelry for the exhibit in the hems for safe-keeping during transit. Deepika knows her job is on the line and panics because it is her dream job and she cares so much. She hides the truth, lies to her boss that she has a family emergency, closes up her apartment and rushes off to Calcutta. But gets nervous on the flight and takes a sleeping pill. She is still loopy when she gets off the flight, and luckily there is Shahrukh at the airport, giving a friend a ride. He notices her because she is so beautiful (even in her plain no make-up practical clothes) and because she needs help. He takes her out to lunch to try to feed her back to being better, she keeps babbling, he is charmed, he takes her to the hotel she booked but she is still a little out of it, so he stays in the hotel room, she kisses him in her sleepiness, and then falls asleep, he sneaks out and leaves a note behind. She stumbles in to the office the next day and the nice young man explains what happened and Deepika immediately figures out that the nice man he met the first day in the city must have been the one who coordinated the theft. She insists on him taking her to meet Shahrukh, and then the previous day comes rushing back to her when she sees him the first time. But she is Deepika, she is awesome, she pretends she doesn’t remember ever meeting him before and immediately starts trying to trap him into an admission. They go on to play a cat and mouse game, Shahrukh is trying to keep an eye on Deepika and figure out why she cares so much about an old sari and also is a little in love with her, Deepika is trying to figure out where Shahrukh stashed the jewels and how “jewel thief” fits with his lowkey lifestyle. And also is a little in love with him. Deepika like in Piku, difficult woman, but so beautiful and immediately appealing that you still want to spend time with her. Shahrukh gets all het up and decides he isn’t going to let this go, files a legal case with Deepika’s office to get the sari back. This means he is now in her territory, in Delhi. He manages to charm and talk his way into staying with her next door neighbor, is there in her face all the time and driving her crazy. She gets her own back by using every trick to make his time in Delhi miserable, sending him to the slowest government offices and the rudest cab drivers and so on. After lots of back and forth, they finally spend the night together and the next day Deepika sneaks out leaving behind the same note Shahrukh left for her the first night. In court, they both end up trying to throw the case so they other will win, the judge yells at them, and it turns into a courtroom confession of love. Naturally, happy ending, Deepika marrying Shahrukh while wearing the old wedding sari they were fighting about. Ninotchka Option 2, Gender Flipped! Southern religious pilgrimage village, emergency meeting of the temple committee, they have just learned that one of the lost artifacts from their temple is being sold at auction in the city. Madhavan, the focused organized youngest priest, volunteers to go get it. But instead the temple committee sends an older “experienced” priest to go buy the artifact. Or, preferably, convince the owners to just give it back. Meanwhile, Swara Bhaskar is in the city trying to help her parents figure things out. All three of them have spent their lives partying and enjoying themselves and now they have run through all the family money. Swara is organizing things, they will auction off everything, sell the house, move into a small place, and she even has a job at the auction house to help support them. The older priest shows up at the auction house, Swara pretends to be helping him but really just distracts him, takes him to a night club, gets him drunk, etc. He complete fails, Madhavan is furious and bullies everyone else into agreeing to send him personally this time. He meets Swara when he first arrives at the train station, helps her in an argument with a cab driver using logical arguments and philosophy, she takes him for coffee as a thank you, they spark and enjoy each other, she gives him a ride to a hotel and kisses him good-bye, he rushes out all flustered. Only to find out the next day that she is the auction house representative and (because he is smart) he also puts it together quickly that she is related to the sellers of the object. Swara and Madhavan start a duel of wits, he pressures the auction house owner with religious guilt, stages a protest out front, and so on. Swara fights back by finding an antique collector who is willing to pay through the nose for the item, and trying to get Madhavan to go around with her to clubs and convince him that the city is better than any boring old temple town. Naturally, they fall in love. Naturally, it all falls apart through misunderstandings. Until Madhavan sadly goes home, ready to lose his position at the temple and everything else because of his failure, only to discover the artifact at home waiting for him. Swara had a change of heart. And then it romantically ends with Madhavan surprising Swara in her apartment, and HAPPY WEDDING ending, Swara has moved down south and become a temple wife. Napoleon was traveling through Poland, his marriage to Josephine was falling apart, and he fell in love with Marie Walewska, a beautiful young wife of a elderly nobleman. According to her version, she gave in to his advances at first in an attempt to convince him to support the cause of free Poland, and then fell in love. For 3 years she followed him all over Europe, he divorced Josephine and her husband annulled their marriage, but then he told her he would be marrying a virginal young Hapsberg Princess in an attempt to get an heir, not her. Marie obediently disappeared from his life, not telling him that she was pregnant before she left. All of that is more or less as history (well, history according to Marie’s family) tells the story. The movie version tags on two more endings. After Napoleon was defeated and exiled, Marie came to see him and brought their son. He was delighted, she was ready to settle down and live with him on the island forever. But then he decided to use her instead, as a secret messenger to his allies. She left the island and didn’t see him again for two more years. She came to him again after his second defeat, and this time he turned her away, not wanting her to come with him to his exile because he feared she would tire of him and pity him. They say good-bye for ever. The story has a nice central tension, Napoleon is a great man of history with a complicated life, at first Marie has her own life and goals as well (free Poland, being faithful to her nice old husband), but she loses herself in love and comes only to care about Napoleon and his goals. Even when those goals go against her own wishes. And eventually, even when those goals go against what she believes to be the right thing for himself (he shouldn’t marry the princess because it is minimizing him, making him merely a son-in-law of a royal family instead of a force in his own right). Now, I absolutely believe we can tell this same story of a great man and the woman who loved him in an Indian setting! I was going to worry about offending people by putting it in Indian history, but heck, no one reads these fanfics, why not just please myself and not worry? So, I have an obvious idea for where this story can fit in to India. We kind of had this plot in Mangal Panday with Amisha Patel, but not really. She is now alone and excluded from society, the British officer is called away, returns to learn of her situation and is horrified. He goes to see her, she initially resists, but finally he persuades her after giving her a long speech about his loneliness, how he has so much power but no home, how no one in his life truly cares for him, but he has great dreams of what he can do for India and the future of the country. She gives in, and they are in love. He successfully hands control over to the local authorities for her home region, and then England sends him on to another place and another. She follows him, along with her loyal servant, she is disrespected by his British co-workers and by the locals in every area but doesn’t mind, because she is so in love. Until he gets a letter from England. His older brother has died, he is now the heir to the family title, his wife has divorced him ad he must marry well and correctly to ensure succession. She tries to convince him that he doesn’t want this, that he will be miserable going back to a dull life of family and responsibility, but he doesn’t hear her. Years later, he is back in India. His second wife had no patience for him, his radical ideas of equality for the native Indians didn’t find favor in England, he ended up being sent away in disgrace to a small post back in India. She comes to him again, surprising him, and introduces him to his son. He decides to walk away from his British job, to disappear into India with her and his son. In the epilogue, we see India finally gaining freedom, as two elderly folks listen on the radio, surrounded by their children, our hero now invisible and impossible to tell from native Indian. Well, that was fun! Now, who to cast? There’s loads of Indian actors who could convincingly play British, but who is the best? I think either Irrfan or Prithviraj would be good. And then for our younger heroine, someone with an immediately different striking face, maybe Aditi Rao Hydari? This entry was posted in Uncategorized and tagged Deepika Padukone, Greta Garbo, Marie Walewska, Ninotchka, Shahrukh Khan, Silly Sunday by mredlich21. Bookmark the permalink. I’m here for a Swara/Madhavan movie ❤ and for the Walewska remake let's have Aditi and Prithviraj. I could very well imagine "Anna Christie" starring Rekha. Or Kangana, maybe opposite Irrfan or Nawaz? But I'd anti-type cast them: let Dev take over Lars Hanson's role as the thoroughly good husband and friend and I'm dying to have Guru Dutt put on a dashing uniform like John Gilbert. ( The mouche is already there.) And then I want Waheeda to light his cigarette in the nocturnal garden scene and a full-blooded romance. YES!!! Thank you for commenting! And glad you like the Swara/Madhavan movie, and Aditi Prithviraj for Waleska. Haven’t seen either Anna Christie or Flesh and the Devil because I am bad at film classics. But I just wiki’d the plots and I agree with all your ideas!!!!! Except I would put Taapsee (the new Kangana) in Anna Christie, with Pankaj Tripathi as her laborer father, and Irrfan or Rajkummar as the love interest. Flesh and the Devil is so scandalous! Oh my, I had no idea! I agree, it would have been an awesome Dev-Guru-Waheeda plot. Present day, I could see Ranveer-Ranbir-Dips. Make Ranveer the stable good friend and husband, and Ranbir the dramatic one. Hmmm. If we keep Ranbir-Ranveer, who could be the central actress that manages to convey weakness and sacrifice? I almost want to say Katrina. She can be amazing in the right role, and playing the troubled Anglo-Indian temptress might be perfect for her. It’s kind of like her Zero part, and she was really good in that. I’m in the club too! 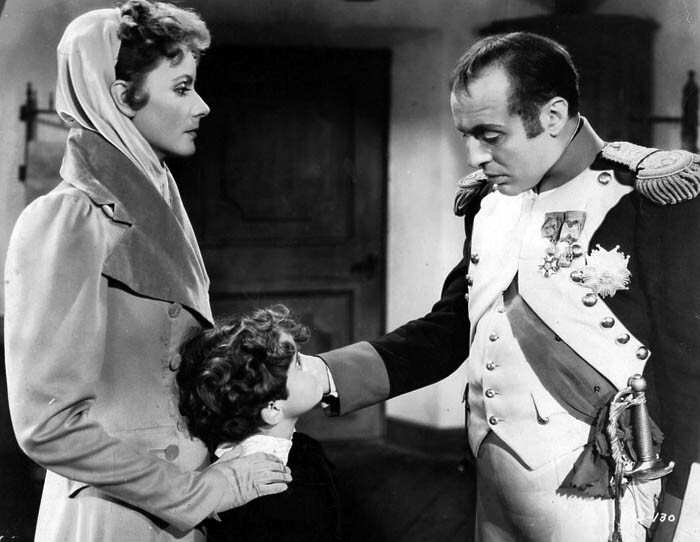 Grew up on Garbo’s Camille, watching with my mother, grandmother and boxes of tissues every time it was on late-night television. It would have been great for Shahrukh a few years ago, Armand has to be young and naive, and maybe Madhuri, playing it a little older and world weary. Oh my God, yes! What an awesome idea. Add Adil Hussain as Ranbir’s father please. But also keep SRK – as a jealous lover. Is there a “old friend who understands and sympathizes with Camille and loves her but knows it can never be” role? Because Shahrukh would be perfect for that, wandering in to be wry and cynical about the young lover but with sympathy in his eyes. Have you seen Doosri Aadmi with Raakhee and Rishi and Neetu? Raakhee has a friend character like that, that’s the kind of thing I am picturing. Ranbir is too cynical and always looks sour to me. It has to be someone sweet and eager, wears his heart on his sleeve. Vicky Kaushal, similar to how he was in Raazi and Lust STories? I love all of this! Except, who is “Yash”, the son casting opposite Alia? Sorry. I watched Kadamban the other day. I meant doe-eyed Arya, not “Rockin’”Kannada actor Yash. Oh, he would be good! Although Arya will forever be overshadowed for me because I saw him in Vettai with Maddy, and I liked Maddy so much more. I watched Kadamban the other day with Arya. THAT’S who l meant, not “Rockin’ Kannada superhero, Yash. Sorry. Don’t know why that comment doubled and came in Anon. Weird WordPress. I saw Toby Stephens photo and now I can’t think about any other actor playing British officer. But I would love a movie with this plot. 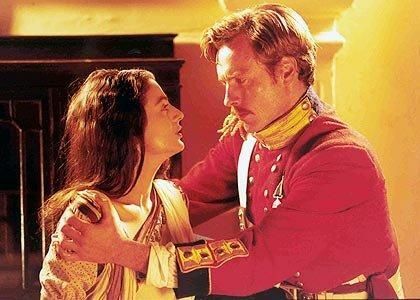 Could Toby Stephens pull off the ending when he is 100% Indian with his wife and kids?